President Ibrahim Mohamed Solih has appealed from those suffering from mental illness to seek professional assistance and stated that no one should have to endure mental illnesses alone. He also stated that all those who are suffering from such illnesses should have easy and affordable access to professional assistance. 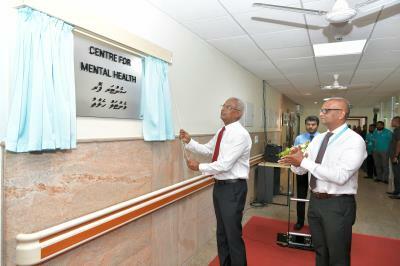 He made this appeal at the inauguration ceremony held this morning at IGMH at the launching ceremony of the Centre for Mental Health. Speaking during the ceremony, the President emphasized that anyone can fall victim to mental illness and that succumbing to one is not indicative of one’s own personal weakness. He emphasized that the brain is a part of the body like any other and is therefore also susceptible to ailment and disability. He expressed that there should be no stigma around mental health issues and that currently, several people are fighting their own mental health battles without anyone else’s knowledge. The lack of a comprehensive and effective system that can cater to mental health issues at a national level was one of the most common grievances expressed by citizens to the President whilst he was campaigning. This is why The President made the decision to inaugurate a mental health centre one of the pledges that he intends to fulfil within his first 100 days in office. 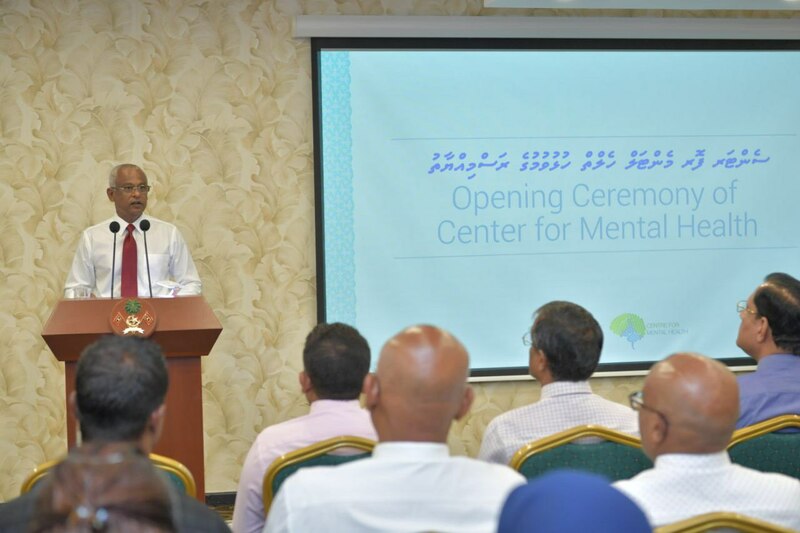 With the launching of this centre, the President expressed his hope that the difficulties that are being confronted by people with mental health issues can now begin to be alleviated. He further expressed that this government will henceforth make improving mental health among the general population a high priority and, accordingly, will provide training to doctors, and psychologists to improve their expertise and to help them understand the sensitivities around this issue. Furthermore, the government will provide scholarships and loan schemes to those who wish to pursue an education in psychology or in a related field.